Paramore have been confirmed to be the special musical guests on NBC's Late Night with Seth Meyers later this month. 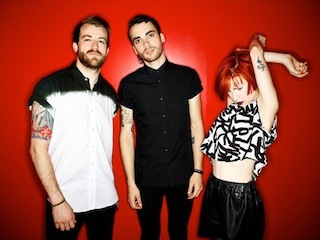 The band will appear on the show to perform their new single "Ain't It Fun" on April 23rd. Dates and ticket information for the band's upcoming Monumentour with Fall Out Boy can be found here.